Killroy Was Here Killroy Was Here! 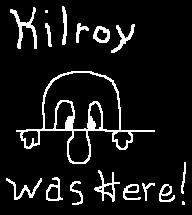 Welcome to the infamous Kilroy site. This is a personal homepage of miscellaneous junk. Some of it consists of interesting places I've been, wacky things I've done and strange things I've seen. Also included are some wild and wooly "life events" and genealogical photos. 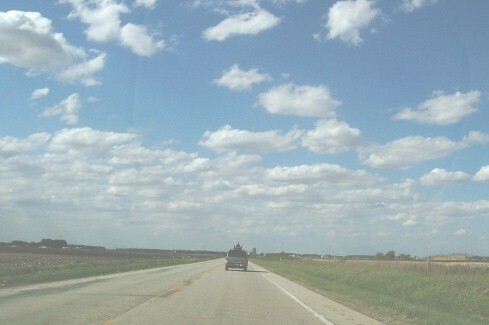 Click on the links in the table below to navigate your course of travel. Email me but remember to read the FAQ first! I will not respond to emails that ask questions that are on the FAQ! Last updated: 2-15-06 Total site overhaul. There is a new navigation system and new pages. Tons of new pictures are sprinkled throughout the site. Some of the old stuff has gone bye-bye. COPYRIGHT © 1999-2006 BY AMANDA HAVERSTICK.